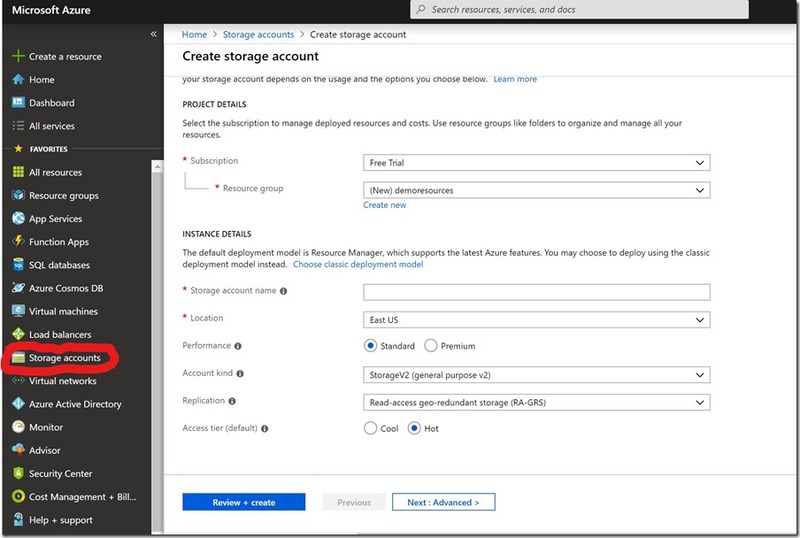 Storage account name – The name must be unique and should contain only lower case letters and numbers. Performance – Two options to choose standard vs premium. 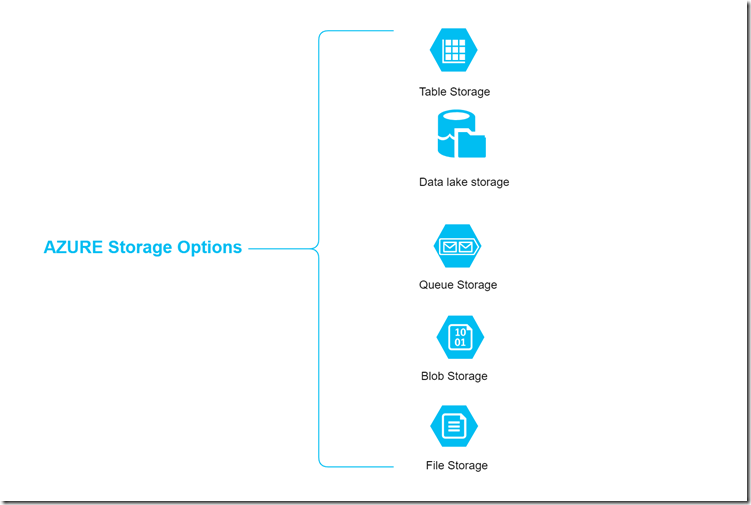 Choose Standard if your application require bulk-storage or where data is accessed in-frequently. Standard option stores data in magnetic tapes. Choose Premium option if your application involve high-intense I/O operations. Example: data base operations. 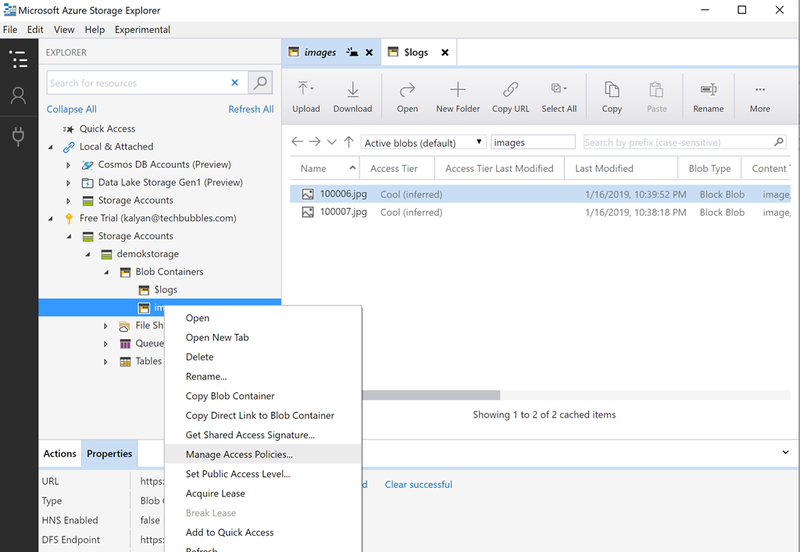 Premium storage accounts can only be used with Virtual Machine(VM) disks. 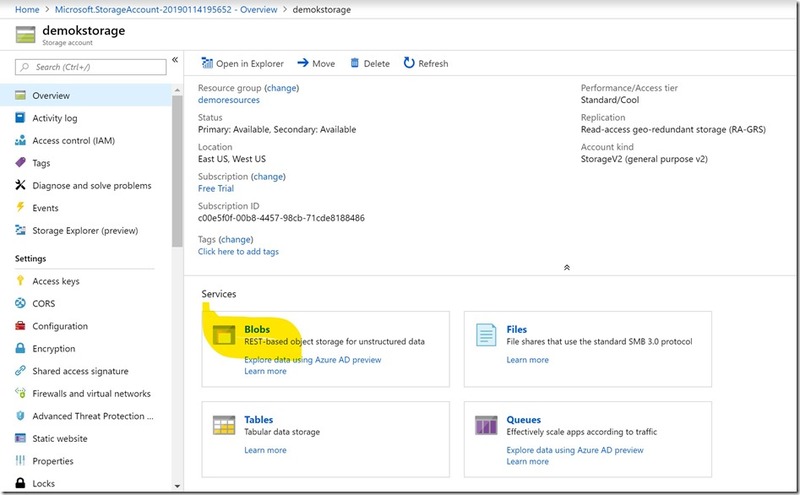 Premium account stores data in Solid-State drives. 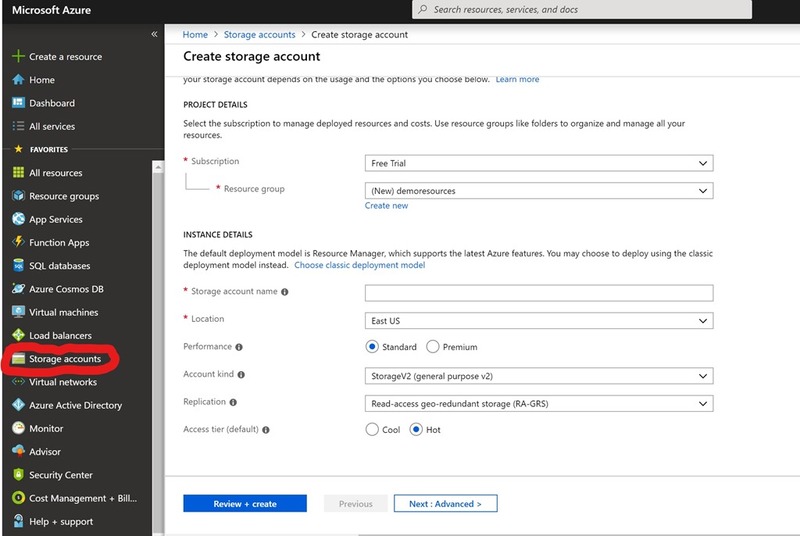 You wouldn’t be able to change the performance option for storage account once you select premium. 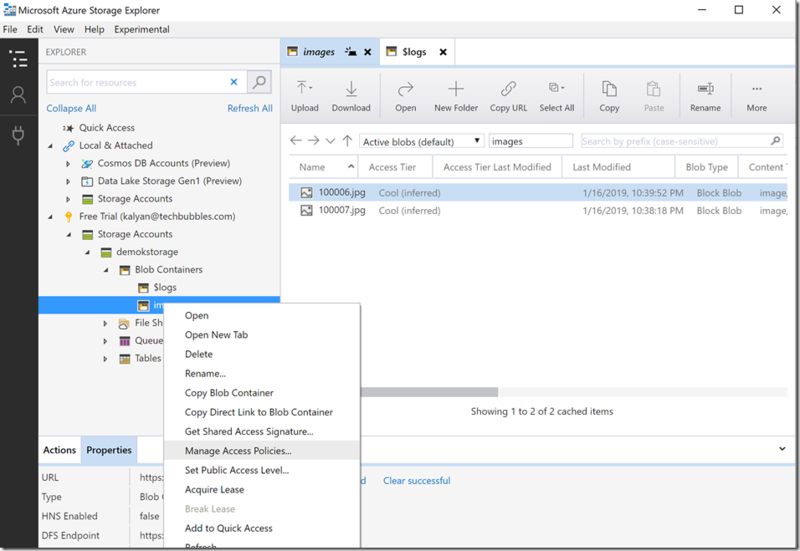 Account Kind – Select general purpose account kind to store Blobs, Tables , Files and Queues. 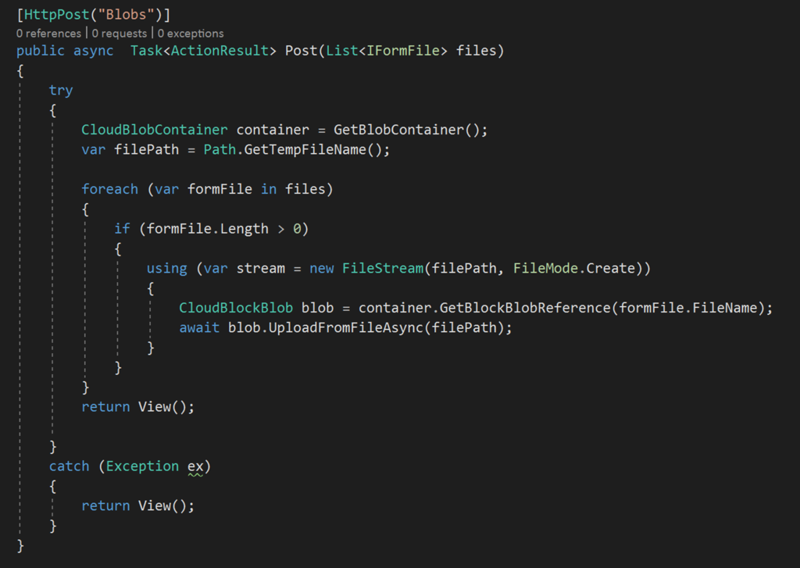 BlobStorage specifically for Blob data. 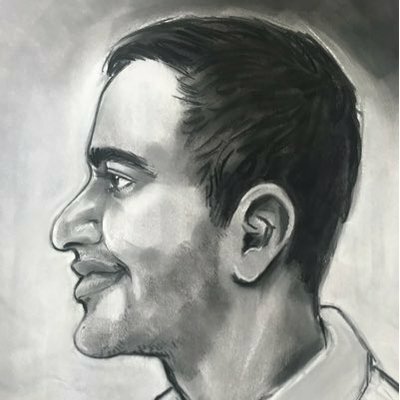 StorageV2 option recently added to portal. 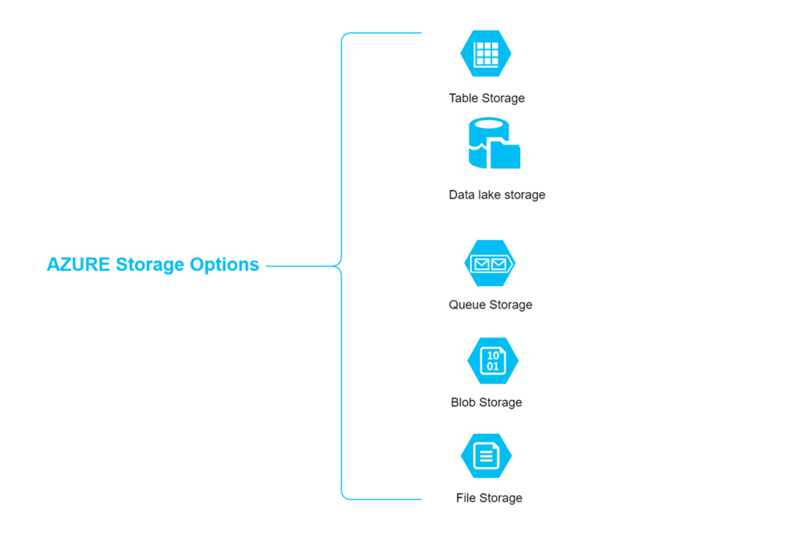 Difference between Storage and StorageV2 is, you wouldn’t see access tier option when you select storage. What is access tier? 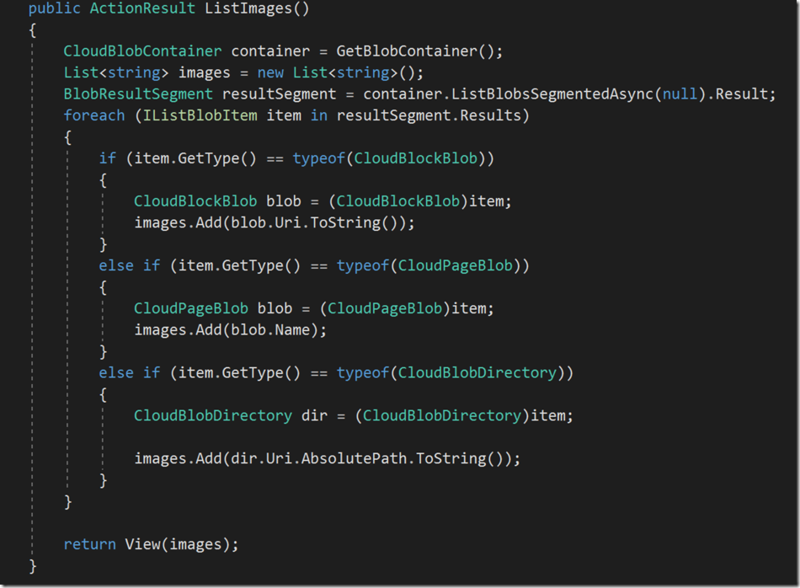 This can only set at Blob data level not account level. 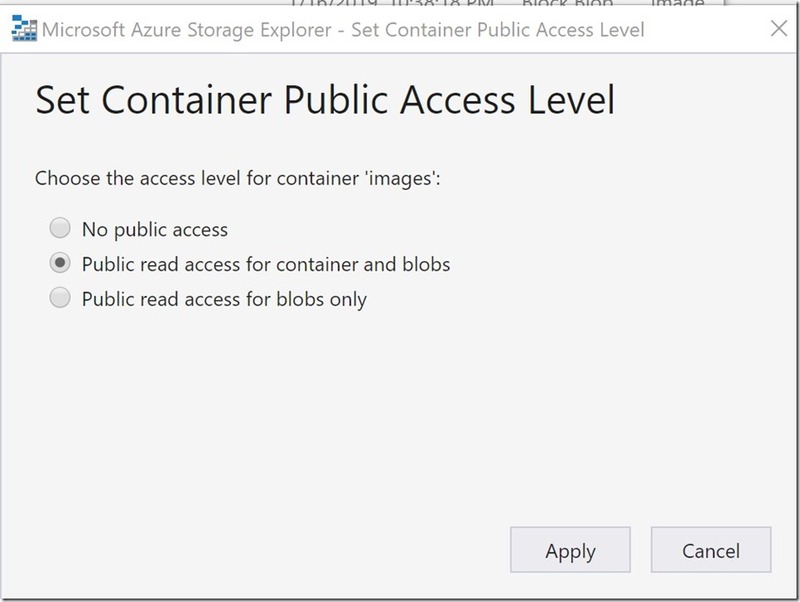 You have two options Hot Access tier(for frequently accessed data) and Cool Access tier(for in-frequently accessed data). 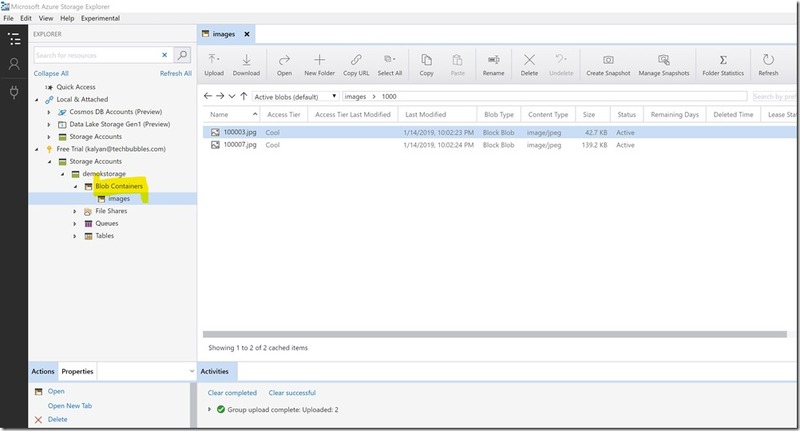 How to upload files to BLOB storage account? 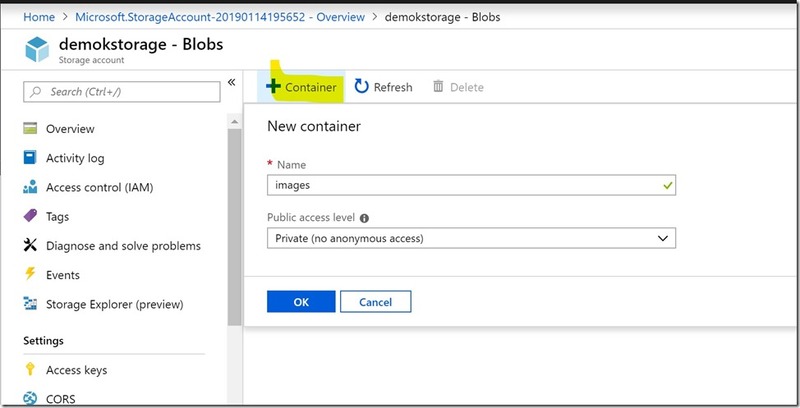 Files can be added to BLOB storage using AZURE Storage explorer or through code. 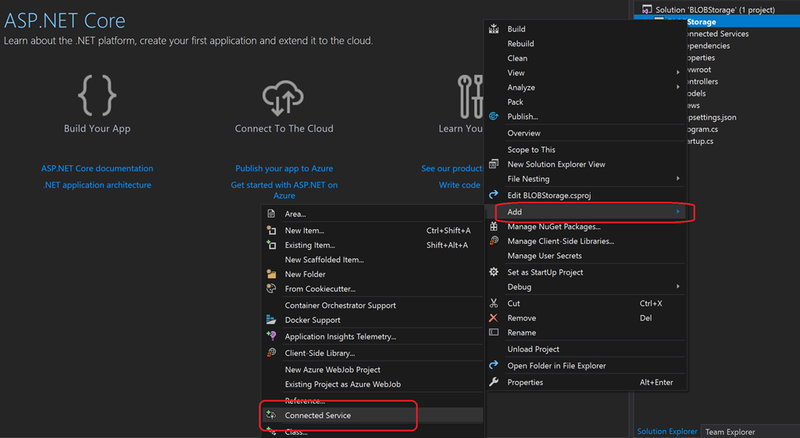 First lets upload file using AZURE Storage Explorer. Open storage explorer and login with your azure account credentials and navigate to the BLOB storage account that you have just created. You can create new folders inside BLOB container and upload files. 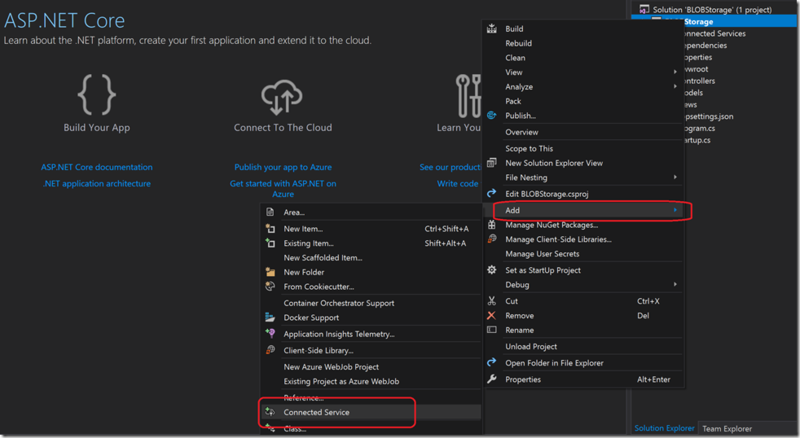 It installs all required NuGet package for AZURE Storage and connection string to your appsettings.json file. 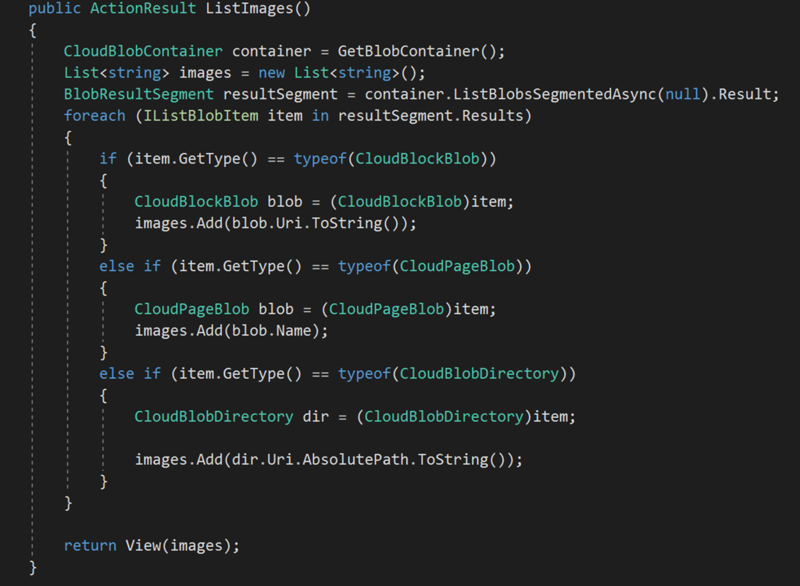 Following code helps to retrieve all files inside container and display in page. 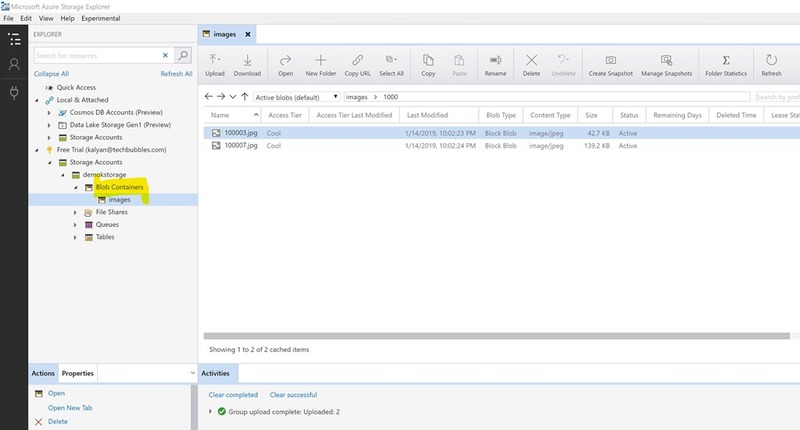 How to upload files to Storage account? 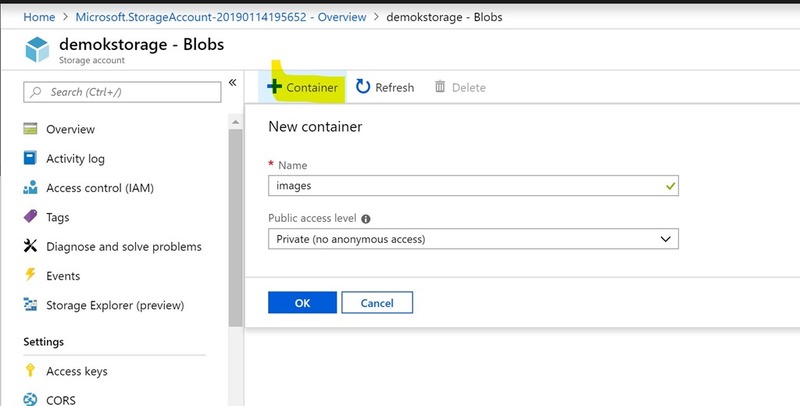 This post outlines the available storage options in Azure portal , creating blob data and accessing it through Azure storage explorer or using C# code. 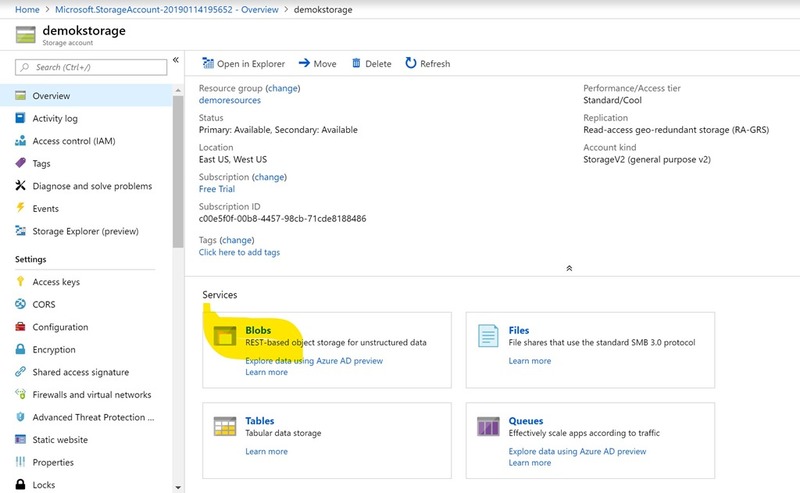 Microsoft offers File Storage, Blob Storage, Queue storage and Table storage The code discussed in this post can be downloaded from here.